Ah, Montenegro. I knew I’d love it. I knew it would be beautiful. But I had no idea that it would have the kind of beauty to knock me off my feet and render me speechless! 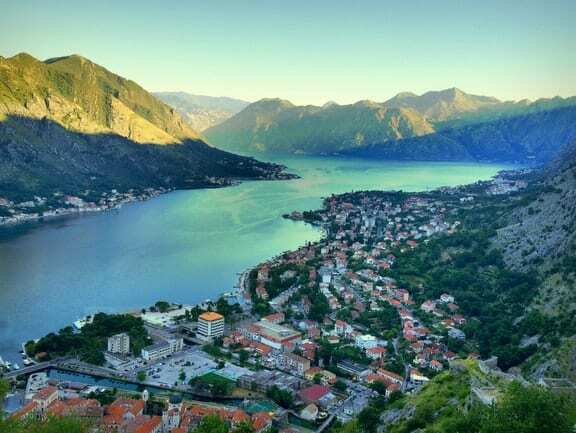 The scenery in Montenegro was tantalizing: the Bay of Kotor from every direction, storybook-perfect walled towns, mystical islands, a mountain-edged coastline, Tara Canyon, and especially the fjords throughout the country. Montenegro has beautiful coastal towns. The tiny walled city of Kotor was our base, and we couldn’t have chosen a better location. It was an utterly enchanting place to walk around, with charming architecture, piazzas, and a genuine small-town feel, snug in its city walls. With the Bay of Kotor on one side and mountains on the other, Kotor is also one of the most spectacularly located towns I’ve ever seen! Budva is another town on the coast, and it’s the most popular resort in Montenegro. 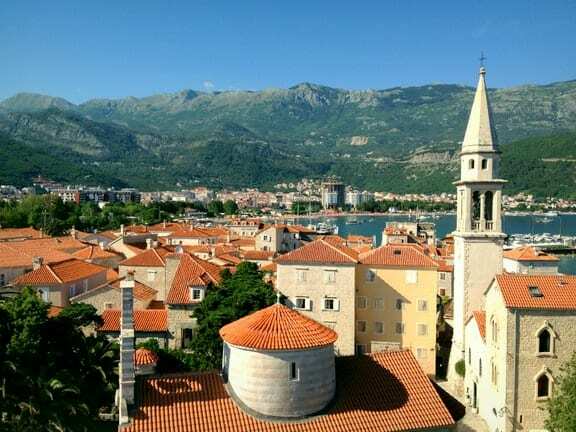 While not as small or as beguiling as Kotor, the old town looks a lot like a mini Dubrovnik, with winding streets, orange roofs, cute boutiques, and those epic mountains that you see all the way down the Dalmatian Coast. 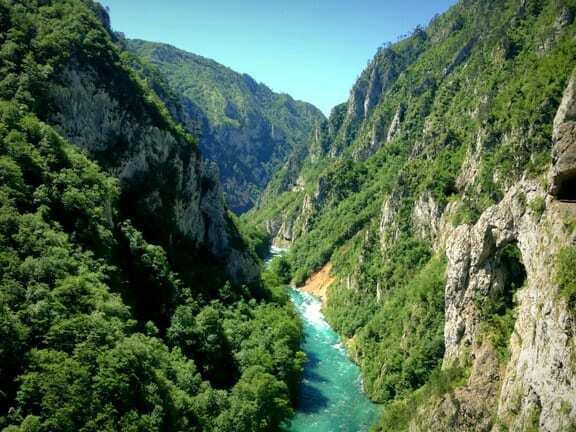 But the beauty of Montenegro extends beyond these popular towns! Montenegro is home to magical islands. The Bay of Kotor is beautiful enough with the mountains surrounding the calm blue waters — but from tiny medieval town of Perast, you have the perfect view of a tiny man-made island. Could you imagine getting married in that little church on your own private island? 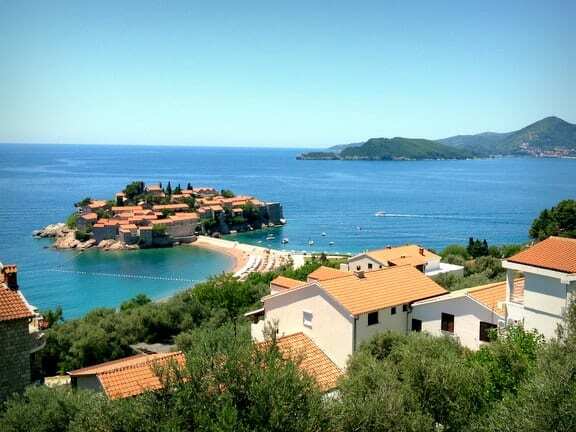 If that one’s too small for you, however, Sveti Stefan has a larger and more dazzling island. 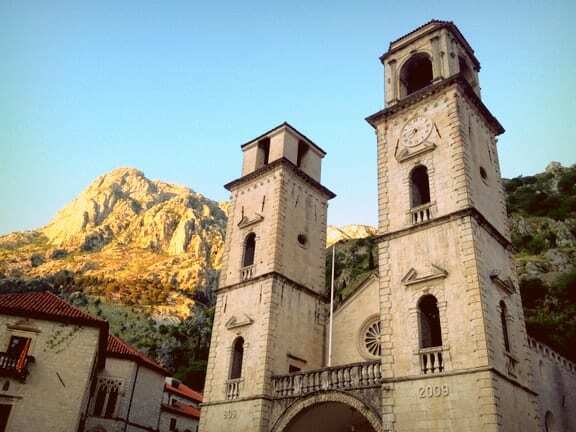 Ever since first seeing a picture of Sveti Stefan years ago, I dreamed of visiting it. On our final full day in Montenegro, we took a bus down the coast to see it in person. Though the island is a private resort with restricted access, it was just as beautiful as I imagined. 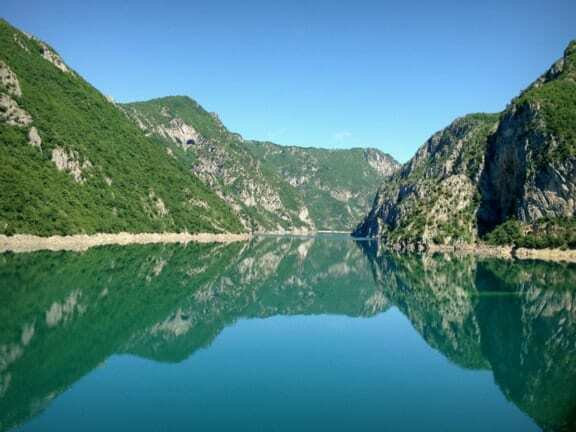 The most spectacular views in all of Montenegro, however, were on the road to Tara Canyon, just north of Durmitor National Park on the Bosnian border. 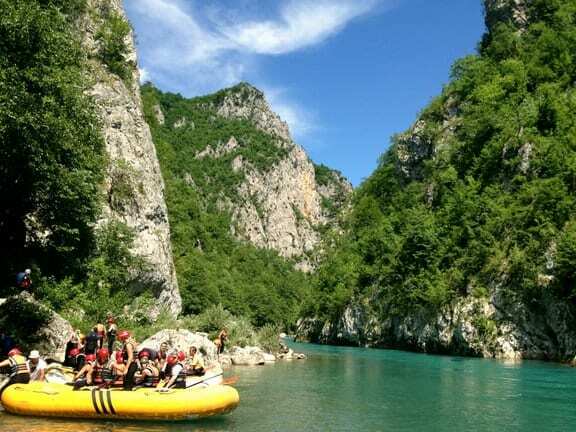 Dave and I decided to go whitewater rafting, and the ride took three hours from Kotor. That’s a lot of driving for one day, particularly when your driver is a crazy man from Ulcinj who takes hairpin turns and passes on curves, but the beauty on this route was nothing short of astounding. Just look at that fjord! Our driver graciously humored our obsessive photo-taking and stopped at several viewpoints. God, how could this country be so beautiful? Bending over the bridge to get a photo of the canyon, my stomach dropped. THIS was what we were rafting through?! Because there are canyons, and then there are CANYONS. Tara Canyon is the second deepest canyon on Earth — only the Grand Canyon is deeper. 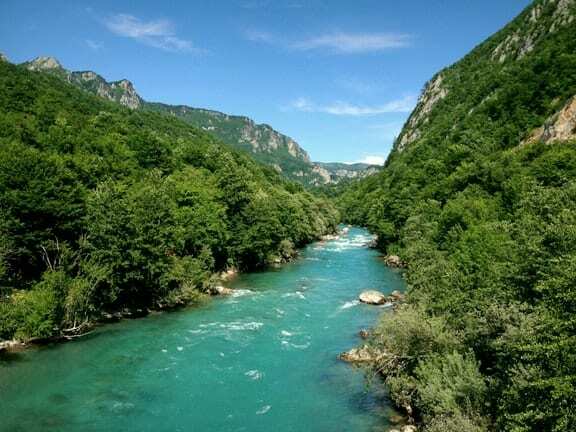 The bright turquoise Tara River slices through gray mountains topped with trees and bushes, and it continues that way for miles and miles. A truly awe-inspiring sight. The rafting trip was a blast — just the right level of rapids (Level IV), cold but not freezing water on a hot day, a few hours of rafting action, and a some stops to get photos. We paddled; we shrieked; we got splashed; we laughed with our new Chilean, Swedish, and Ukrainian friends. And I spent plenty of the trip spaced out like a zombie, overwhelmed with privilege for getting to experience a place like this. 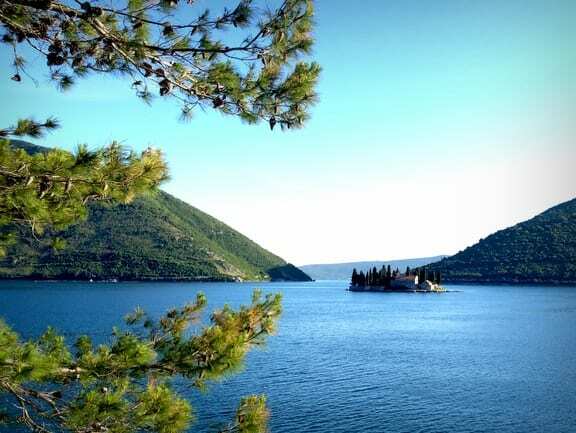 Montenegro has a showstopper: the Bay of Kotor. At 5:30 AM on the day of our flight back to England, Dave and I woke up to climb the fortress of Kotor. We climbed briskly and made it to the top in about 30 minutes, just in time to see the rays of sunshine hit the fjord. I don’t think there’s anything I can say beyond what that photo already shows. It had never occurred to me to spend more than a few days in Montenegro, but after this trip, I would love to return and see much more of the country, staying at least a week, maybe even two. There is so much to see here, and as usual, I’ve only scratched the surface. What do you think? 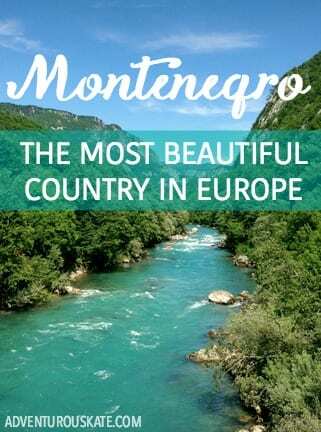 Is Montenegro the most beautiful country in Europe?